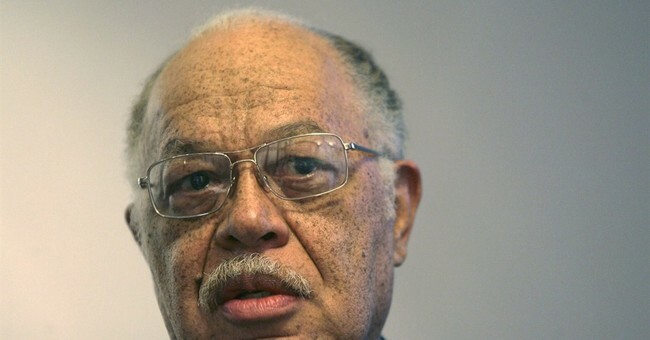 Kermit Gosnell shows no remorse for his abominable actions in his Philadelphia abortion clinic, actions which have him serving multiple life sentences. Gosnell, a late-term abortionist, was found guilty of murdering babies by snipping their necks, and faced charges for racketeering and blatantly ignoring abortion laws. At least one patient died in his clinic due to his neglect. Townhall recently brought you an interview with the authors of Gosnell: The Untold Story of America’s Most Prolific Serial Killer, a bestselling book on Amazon. His crimes are also described in detail in the documentary 3801 Lancaster: American Tragedy. The documentary, directed by David M. Altrogge, takes on the disturbing task of giving viewers a tour of Gosnell's "House of Horrors" abortion clinic. You see everything from his filthy medical rooms to the jars of babies' feet he kept in his cabinets. In addition to a tour, the documentary features interviews with some of Gosnell's former patients. In those confessionals, we discover that several of these young women had second thoughts about having abortions. Yet, Gosnell mocked them for their hesitation and refused to take no for an answer. Altrogge's documentary, which came out in 2015 but only recently became available for download, subscription video on demand and DVD, is also unique in that it features an interview with Gosnell himself. Altrogge, who phoned Gosnell in prison, said the conversation was "disorienting" and not at all what he expected after reading the case's grand jury report. "I think what was surprising is Gosnell had been portrayed as this monster in the media, so I sort of went in expecting to meet a 'Hannibal Lecter' type character," he explained. "I was surprised how friendly and charming he was and very much sane, it was a very disorienting thing. Then you read the accounts of what he did, you remember the interviews with the girls that went to his office, and you see the photographs of the babies who had their necks severed." You can hear the strange calmness in Gosnell's voice, even laughter at certain moments. Most unnerving of all, he did not provide any hint of remorse. Gosnell told Altrogge that he grew up in the Baptist faith. With such core Christian values, he wanted to find a profession in which he could help the needy. "People came to me pleading for intervention," he said. What he means is that these young women wanted abortions - even in very late stages of their pregnancies. He somehow felt it was his Christian duty to grant their wishes. Gosnell's actions, he argues, were justified by the Holy Bible. "The Bible to me is clear that life doesn't happen until breath," he said, referencing the book of Genesis, which reads that God breathed life into Adam. "I very strongly believe in my innocence," he said. Not only that, but he believes his conviction will be overturned and he will one day be "vindicated." Gosnell is not the only guilty party in this tragedy. Because of their failure to inspect Gosnell's abortion clinic for years, the Pennsylvania Department of State and Department of Health are also to blame, the director insists. "Yes, did they actually use the scissors to sever the spinal cords of the babies’ who were born alive? No, but they chose not to act for decades for political reasons," Altrogge said. You can watch the entire documentary at 3801lancaster.com.